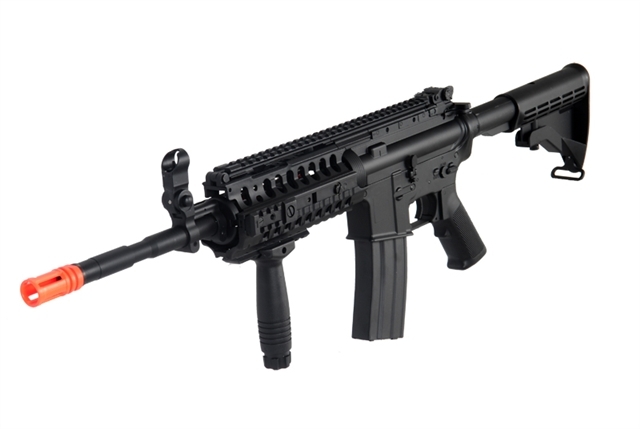 Where most airsoft guns feature a plastic body, CYMA's line of M4 rifles feature a full metal body for maximum authenticity. From the upper to lower receiver, and from the tip of the barrel to the back end of the buffer tube - whatever is metal on the actual M4 will be metal on the CYMA M4. 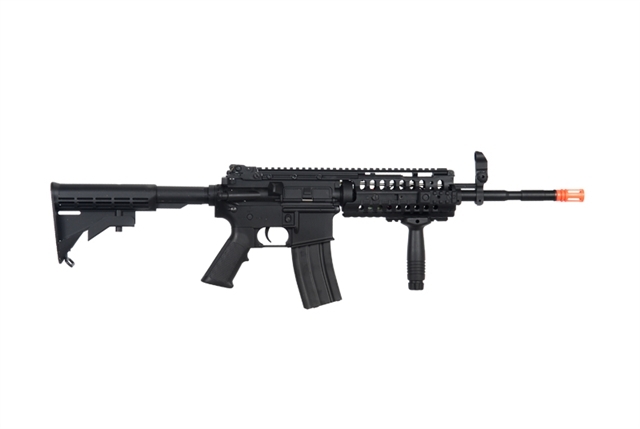 Featuring the most modern build this M4's top receiver is forged with a flat top Rail Accessory System (RAS) for the mounting of tactical accessories such as Red Dot Sights or Tactical Scopes (Sold Separately). 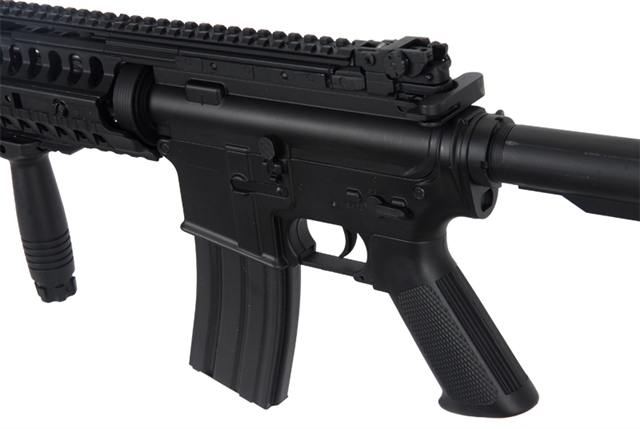 Configured with the "S-System configuration this airsoft gun has its special uninterrupted top rail along with railed handguards for additional accessories. Also configured with flip-up Rear Iron Sight that makes deploying a snap. On the inside the CYMA M4 S-System is powered by a full metal gearbox with firing output of 415 FPS with 0.20 gram BB's. The entire set up is powered by a included 8.4v rechargeable battery with a standard trickle charger.